This Ladies Nike Faho Short Sleeve Training Top has been engineered with Dri-Fit technology which wicks moisture away from your skin and dry&apos;s quickly to ensure maximum comfort throughout your training session. 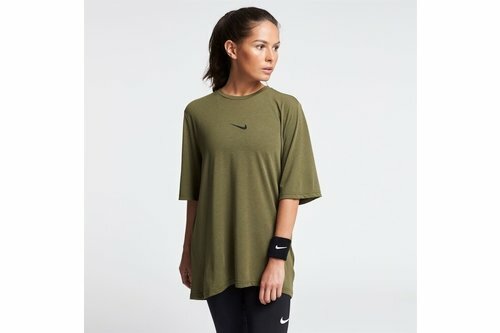 The loose fit and curving hem allows you to move freely so you can get the most out of your performance and the Nike Swoosh branding completes the workout look. > Curved hem and drop tail for a flattering fit in the back.